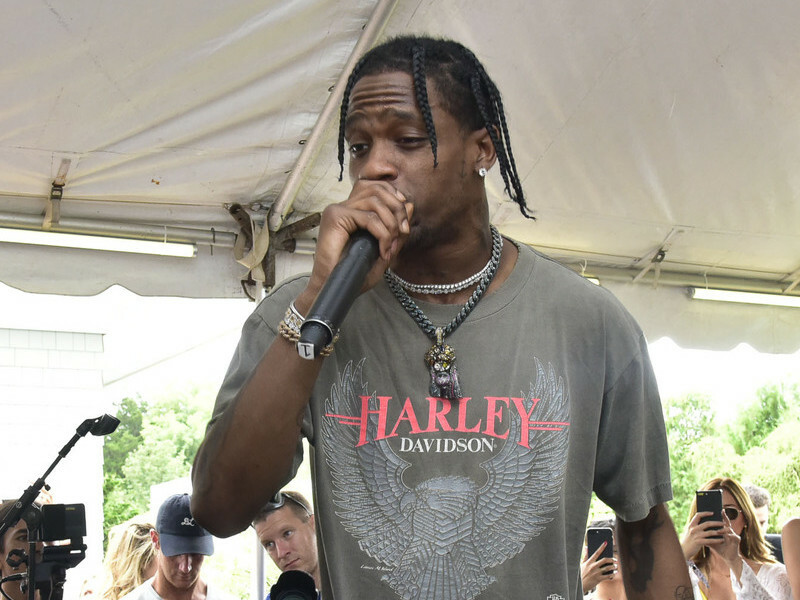 A transgender model was removed from the album art for Travis Scott’s upcoming Astroworld LP. Amanda Lepore, the model in question, took notice of the photo’s alteration in an Instagram post on Wednesday (August 1). In the shot posted on Scott’s Instagram, Lepore — the model pictured up and to the left in the original photo — is completely gone. Photographer David LaChappelle’s version of the picture, which was shared on his Instagram, maintains Lepore’s presence. Lepore has been a frequent subject of LaChappelle’s work. Scott has been accused of being transphobic in light of her removal from the album art. Check out some of the negative reaction below.